Boosting your information, developing and stimulating your message, promotions, special offers. Opting for our smart and innovative solution. Monetizing your channels and your content! Increasing traffic and sharing your message inside and outside from your events. Welcoming, entertaining, accompanying your audience and informing them about your services. Expanding your business. Communication or recruitment services: Creating your external, internal and/or private distribution channels. Relaying, broadcasting your training information and developing your evaluations. Here is a guided tour of our CMS in a few steps. Add images, photos and screen shots. Broadcasting 100,000+ webradios (Shoutcast™, Tunein™) and millions of music and sounds (SoundCloud™). Enhance, personalize your content with images, scrolling texts and links. Opt for a unique, intuitive and innovative screen creation mode based on layers stacked one on top of each other. 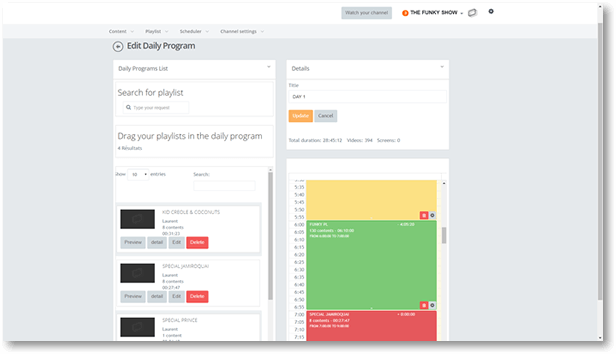 Make your own playlists, build your program grid. Organize your videos into programs. Our CMS is intuitive and visual. Add, delete, order your content naturally. Publish your own playlists freely by categories, themes (music, news, travel ...). You are your own pilot. Increase and enhance your audience and your revenue. It's time to monetize! 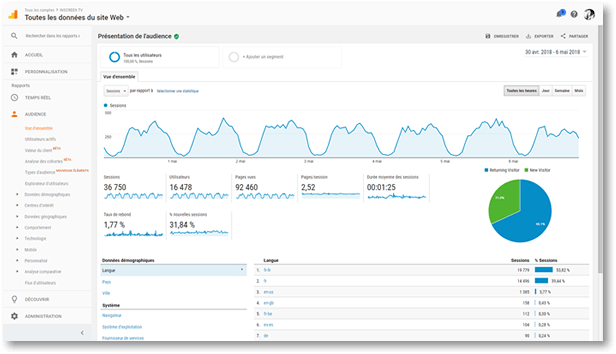 From your customised dashboard, you get detailed statistics by media, playlist, and content. Tracking the status of your sales revenue. Our monetization solution is open. It is offered to your users directly inside the inSCREEN.tv player grace of a fluid and user-friendly interface. 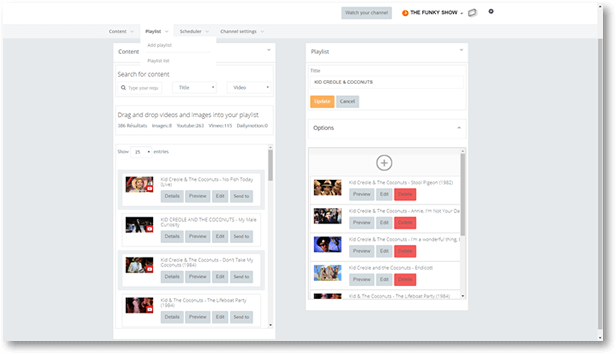 Monetization can be directly embeddable to your site with our inSCREEN.tv player. 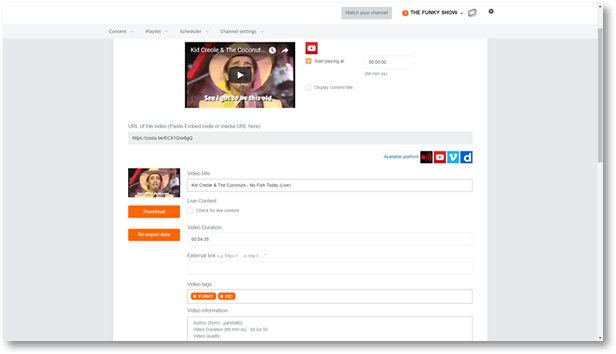 You define your favorite monetization conditions for each channel: free access, Freemium or Premium access... Pay per View, Donations, subscriptions... every solution is there. Your programming and every function you have defined and that you need to have are available on the inSCREEN.tv player. Your channel is broadcasted on your own dedicated URL. 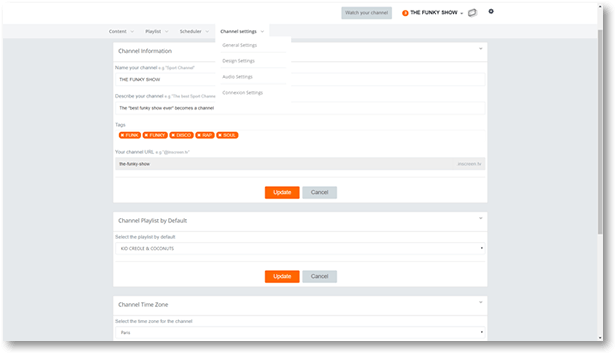 Your player communicates in real time with our CMS via our API REST. The player automatically synchronizes with all your informations. 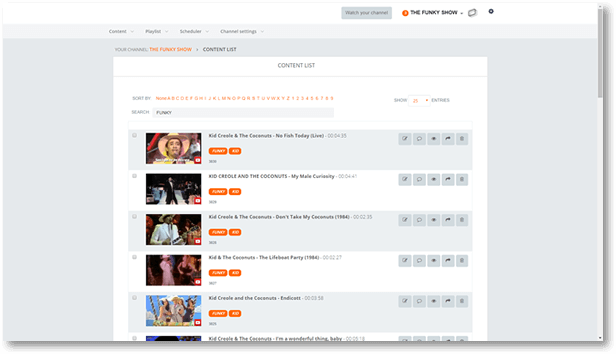 A powerful, reliable and complete solution is embedded in an innovative, fluid and ergonomic player that everyone can pilot on any browser and device.